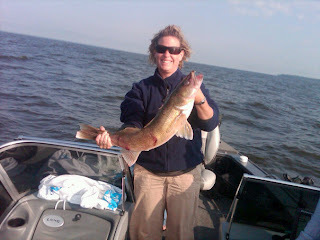 Does Life Get any Better than on Lake of the Woods? I Think Not! haha. Thanks to everyone that has sent me birthday and engagement wishes, it is greatly appreciated. 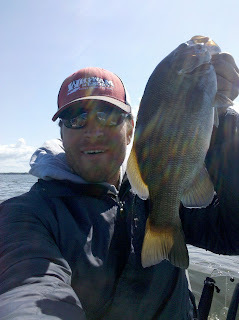 Yesterday was another amazing day on Lake of the Woods. The wind was down and the fish were biting once again. Kevin Tall Tale Olmstead took 6 of our guests up north to the eastside of Little Oak Island and needless to say, our guests were having a blast pulling in the Walleyes one right after another. 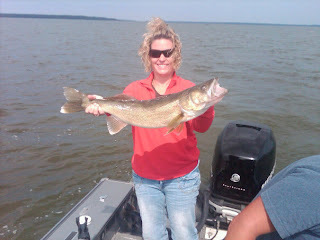 Some of Tall Tales crew were first timers to Lake of the Woods and even first time Walleye fishermen and women, but that didnt stop them from hammering the eyes. Tall Tale puts you on fish each and everyday, and I dont care what the conditions are, he never comes back empty handed. If youd like Kevin to take you fishing, just give us a call at the office (800) 448-9260 and make your reservation to the Walleye Capitol of the World! This weekend we should be back into the 80s and beautiful weather, so if youre on the fence about making the drive up to Lake of the Woods, get off and get your butts up here. In my 18 years of fishing this tremendous body of water, the fishing has never been better on a consistent basis. 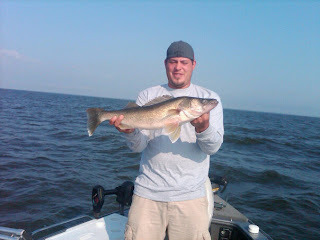 Take advantage of our Super Summer Special and treat yourself to the best Walleye fishing in the world, on the lake know as the Walleye Capitol of the World, Lake of the Woods!